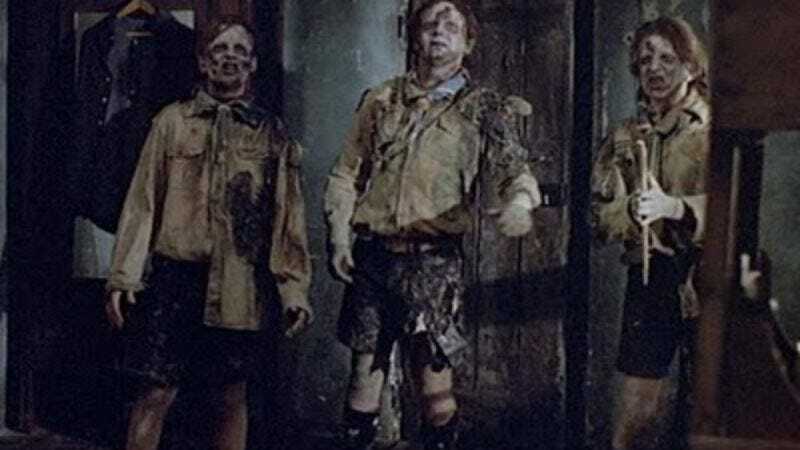 Hurrying the coming genre trope-pocalypse, Paramount has begun developing the horror-comedy Boy Scouts Vs. Zombies, the Carrie Evans and Emi Mochizuki-penned screenplay that sat on the 2010 Black List until someone finally realized that it had “zombies” in the title. And as that title suggests, the film will indeed find some Boy Scouts fighting some zombies, using their finely honed knot-tying and listening-to-lectures-about-the-importance-of-civil-service skills to rescue a nearby group of Girl Scouts after the undead intrudes upon their camping trip, because all of the parental chaperones have sworn to remain hands-off lest they be accused of inappropriate touching, apparently. Tropic Thunder screenwriter Etan Cohen—who still refuses to change his name, necessitating constant explanation that he is not Ethan Coen—will make his directorial debut on the film, as well as supervise a new draft from Drop Dead Gorgeous writer Lona Williams, suggesting at least one character is definitely gonna explode. And as suggested up top, Boy Scouts will further the growing trend of smashed-together cinema like Cowboys Vs. Aliens, Dinosaurs Vs. Aliens, Cowboy Ninja Viking, and Motorcycles Vs. Fruit Bats—only one of which we made up—and it also represents the increasingly dwindling reserve of character types who have not yet been pitted against zombies, who will face everyone from Jane Austen characters to robots to Brad Pitt in the coming years. So again, you’d better get your own screenplay together soon, before you’re reduced to slim pickings like Zombies Vs. Insurance Agents Nearing Retirement or something.